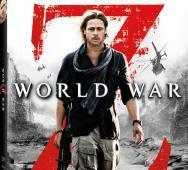 World War Z had so many mixed reviews but those who like it absolutely loved it. If you were one of those people who said “I’ll get it on Blu-ray”, your wait is over. On this upcoming September 13, 2013; you will get your hands on the regular version and 3D versions of the movie with the Unrated version and the Theatrical versions to watch. The regular Blu-ray has Brad Pitt as the cover art and the 3D version has the mountain of zombies attacking the helicopter. Have fun! Eli Roth‘s horror movie Green Inferno is something I am not all that stoked to see but because Eli Roth is attached it is on my list of things to watch. Although every movie still is not a winner we have 2 winners out of the 5. I especially love the crazy eyed, necklace through the nose lady. Now I need a movie trailer released Eli, so until then these pics will have to do. Green Inferno stars Daryl Sabara (Spy Kids), Kirby Bliss Blanton (Project X), Lorenza Izzo (Aftershock), Ariel Levy (Aftershock), Aaron Burns, Magda Apanowicz (Caprica), and Sky Ferreira. 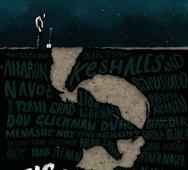 The horror film is also set to premiere at the Toronto International Film Festival (TIFF) in September. 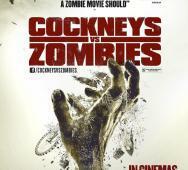 Matthias Hoene‘s Cockneys vs Zombies will be hitting selected theaters this upcoming Friday August 2, 2013. Watch as Rasmus Hardiker, Harry Treadaway, Michelle Ryan try their hardest to stay alive in the London zombie horror comedy movie. The movie clips make the horror movie look even more promising so make sure you check it out, hopefully it hits Netflix soon. Nicolas Cage and John Cusack are going to nail it on this upcoming horror movie; The Frozen Ground. I am so stoked to see it along with the rest of the incredible cast of Radha Mitchell, Vanessa Hudgens and Curtis “50 Cent” Jackson. Thank Lionsgate and the directorial debut of Scott Walker for this film. The Frozen Ground is based on true events surrounding Alaska’s most notorious serial predator, Robert Hansen. Make sure you catch The Frozen Ground in theaters or VOD this upcoming August 23, 2013. Matt Damon‘s Elysium hits theaters this upcoming August 9, 2013 and as you know it is time for them to ramp up marketing. 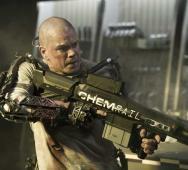 Check out the 4 new movie clips for Elysium. I for one am not all that amped up to see this one. Would like to hear what everyone else thinks about this film, will you see it in the movie theaters? Matt Thompson‘s upcoming horror movie Bloodline stars Kimberly Alexander (NCIS) and looks creepy with the black eyed people. Check below as we have scored 4 movie stills and the official one sheet movie poster. I can’t help remembering CW Supernatural‘s demons with the same black eyes. Tell me what you think of this new horror movie. Vampire Academy is directed by Mark Waters (Mean Girls) and written by Daniel Waters (Heathers). 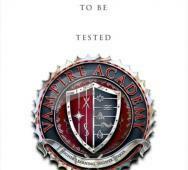 Vampire Academy is based on the books written by Richelle Mead. The vampire film will tell the story of Rose Hathaway, “a Dhampir, half human/vampire, guardians of the Moroi, peaceful, mortal vampires living discretely within our world. Her legacy is to protect the Moroi from bloodthirsty, immortal Vampires, the Strigoi.” The posters do not have much to them but an emblem that reads “Higher Learning, Higher Stakes” and a 2014 release dates at the bottom. 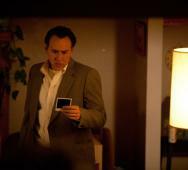 Director Dan Walton has released some very creepy movie stills for his latest upcoming horror movie “Bind”. This creature looks extremely disgusting and frightfully intriguing. Bind stars Eliza Faria, Sierra Pitkin, Rebecca Rifai, Haley Victoria Hunt, Deborah Finkel, Alisha-jo Penney and Brian Cook. 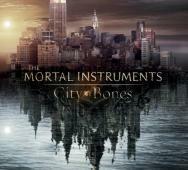 The Mortal Instruments: City of Bones, directed by Harald Zwart and starring Lily Collins, Jamie Campbell Bower, Robert Sheehan, is a movie adaptation of Cassandra Clare‘s fantasy novel. The film is set to hit theaters this upcoming August 21, 2013. Check out the 2 new TV spots that hit the internet entitled “Family Secret” and “Together”. We get to see a few more fresh clips of the movie and I find myself having high hopes for this movie. Don’t forget to share your thoughts on this upcoming movie. 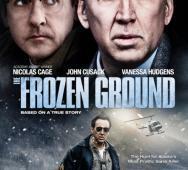 In the new Frozen Ground clip, Nicolas Cage is pummeling John Cusack with questions that make him extremely uneasy. This casting is perfect for a movie like this. Serial killer movie based on true events; Frozen Ground stars Nicolas Cage, John Cusack, Katherine LaNasa, Radha Mitchell, Curtis Jackson, and Vanessa Hudgens. 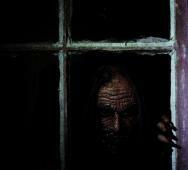 The Night Visitor looks might disturbing and just what we horror fans crave. 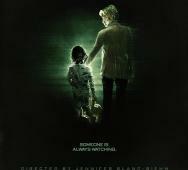 Check out the new movie poster and teaser video for Jennifer Blanc-Biehn‘s directorial debut in The Night Visitor. So far the horror film will go straight to VOD. Michael Biehn even makes a guest appearance in the teaser. Also in the cast are Brianne Davis (Prom Night), Vedette Lim (True Blood), Gary Cairns (Justified), Jennifer Blanc-Biehn (Dark Angel), Mark Gantt (Ocean’s 11), and Tara Buck (True Blood, Justified). Aharon Keshales and Navot Papushado‘s Big Bad Wolf horror movie looks gripping and looks to nail the real horrors that walk by the day. This film is really dark and it should be. Take a walk on the wild side with this father who now seeks revenge against the man who brutally murdered his daughter. Xavier Berraondo unleashes Psychophony on the world by releasing the first poster and 2 teaser trailer videos. I have to admit the the following trailers this horror film looks terrifying and unsettling. I hope when I finally do see the film, that I am not disappointed. I remember being amped up to see Apartment 1303 and when I finally saw it, it was a total let down and should be listed as a horribly terrible horror movie. Psychophony stars Claudia Pons, Ferran Albiol, Raul Alvarez, Dafnis Balduz, Ferran Carvajal, Leyla Fernandez, Merce Montala, and Miriam Planas. NBC Dracula - Trailer 2 is Great! 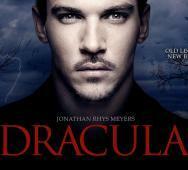 The new trailer for NBC Dracula starring Jonathan Rhys Meyers looks great! I was stoked before and I just can’t wait now. 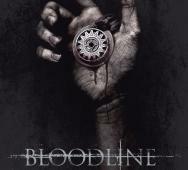 The new horror TV series premieres October 25, 2013. In this trailer we have a track from Depeche Mode titled “Soothe my Soul” that sets a great tone for the trailer. Watch the Dracula trailer and get stoked! Capcom‘s Dead Rising 3 zombie game looks absolutely crazy as the developers sit down to discuss clips taken from in game. The developers share about the kinect features and why they choose to release the latest zombie game in the franchise for the Xbox One. Dead Rising 3 will have a huger world, a ton of weapons to pick up or craft, more zombies on screen to fully immerse you into the game that is fully streamable with no load times to take you out of the game zone. 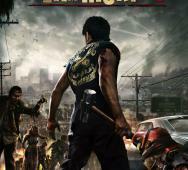 Dead Rising 3 is developed by Capcom Vancouver and published by Microsoft Studios. This horror zombie game screams awesome. Grabbers is a horror movie that I was on the fence about but these two new clips really set the “scare factor” tone. In Grabbers clip 1 a dude is hanging by his arms by the alien creature and the husband gets impaled leaving the wife to run for her life. In the Grabbers clip 2, we get our first glimpse at one of the smaller creatures and a scientists sharing about his findings while investigating the creature. 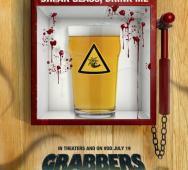 The clips make the Grabbers movie look very promising. 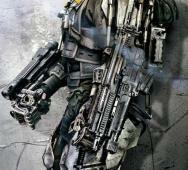 Edge of Tomorrow (formally titled All You Need is Kill) has 2 new posters released. The first poster features Tom Cruise with guns on each arm but reminds me too much of Matt Damon in Elysium but with more armor. Next is Emily Blunt with what looks like a totally badass broadsword similar to anime swords like the one in Bleach that Ichigo Kurosaki wields. I am sorry but I am really that big a fan of Tom Cruise lately, if ever, but I will give Edge of Tomorrow a chance just to see Emily Blunt’s sword in action. Check out The Walking Dead Comic Con Panel video which is almost 1 hour long and features Robert Kirkman unloading all the goodies about the upcoming season 4. We have a lot of time until season 4 premieres on AMC in October 13, 2013 so until then, sit back and relax to some extra details about our favorite zombie TV show. The zombie series stars Andrew Lincoln, David Morrissey, Steven Yeun, Norman Reedus, Danai Gurira, Chandler Riggs, Lauren Cohan, Scott Wilson, Melissa McBride, Chad Coleman, Sonequa Martin-Green, and Emily Kinney. 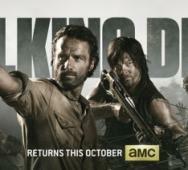 The Comic Con trailer for The Walking Dead is a lengthy 4 minutes and 27 seconds of pure action. The Walking Dead Season 4 will premiere on AMC this upcoming October 13, 2013 at 9 pm. In season 4, Rick and his group must deal with new survivors who come to the prison wishing to be apart of his group, some of this folks are trouble waiting to happen. We still have the Governor to deal with as well. Did I forget to mention that the zombies are still out there waiting for a meal. One on the clips shows the prison fences falling down and the group trying their hardest to keep the fences raised but realizing that they must leave the prison. Get stoked for the new season of The Walking Dead. 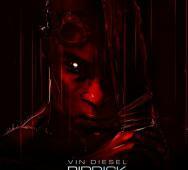 The new red band trailer for Vin Diesel Riddick is bloody and reveals more clips which scream awesome. I love every Riddick movie because the character is a badass and you just want to see what happens next. In this trailer, Riddick is all chained up like in Pitch Black kicks the mercenary’s hand that is swinging a machete about to cut off Riddicks head sending the machete soaring in the air. He then kicks the mercenary in the face just in time to kick the machete towards the mercenary in an awesome scene. Trust me; I didn’t even ruin it because the scene is that awesome that you have to see it.